A proposal put forward by the Environmental Defence Society (EDS) for a comprehensive and independent review of the resource management plans of the Mackenzie Country has been accepted by Department of Conservation, Land Information New Zealand, Environment Canterbury, Waitaki District Council and Mackenzie District Council. The terms of reference include assessing resource management plans and approaches, tenure review, the role of the Mackenzie Country Trust and how the earlier agreed Shared Vision Document could be implemented. That agreement put forward the idea of a 200,000 ha dryland park. “Part of the context here is a long-running history of litigation. Mackenzie Council’s Plan Change 13 was first promulgated in 2007 and is still being contested by one farmer in the High Court. However Federated Farmers withdrew its High Court appeal earlier this week which is a pleasing development and an indicator of a more constructive approach”, said EDS CEO Gary Taylor, EDS. 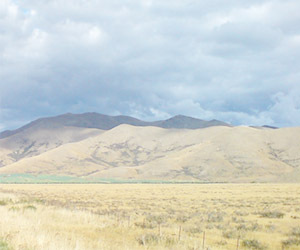 “The intermontane basin of the Mackenzie Country is a hugely valued and unique part of New Zealand. But as the Environment Court found, it has reached a real tipping point with nearly 50% of it converted to intensive land uses. Robust policy and management interventions are needed right now. “While the review is underway, EDS is endorsing the Environment Court’s call for a moratorium on further intensification while we chart the way forward,” Mr Taylor noted.